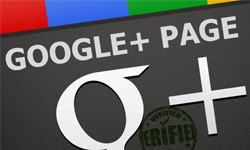 Google+ page verification is an awesome feature that helps both users and businesses. They help to filter spam and prevent identity theft. The downside is that Google+ verification is pretty much mandatory if you want to advertise on Google+, and it takes some time. Here is how to get it done quickly and painlessly. Verification guarantees to the Google+ that your page belongs to you. It shows Google+ users that you are taking responsibility for the content of your page. When your page is verified, it appears with a checkmark to show users that it is genuine. Verified pages are also in the running for free exposure on Google. Relevant and popular verified Google+ pages show up occasionally in the sidebar of Google searches. As a bonus, once your page is verified, you can also add an author tag to your content. This tag will display your name and a portrait. Which Content Network is Better, Google or Bing? WordStream has the Answer – Both! First, establish a page and get some followers. If you don’t have many followers, your verification request may be rejected. Second, place a link to your website in the Google+ “About” section. Third, link your Google+ page from your website using the Google+ badge. This badge will let Google+’s moderators know that it is your website. 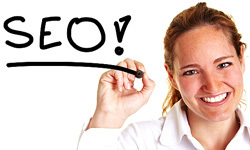 It will also help to attract followers to your Google+ page. Finally, fill out this verification request form. The form requires that you provide a valid personal phone number. Google+’s verification team may call you to confirm your identity. Your form will be processed in a couple of weeks. If you don’t hear back in a month, resend the form and send an email to Google+’s team to make sure they haven’t forgotten about you. That’s all there is to it! You should be able to complete the whole verification process in under an hour. This isnt what I was looking for but I checked and was missing just one of these steps. I was looking to verify my Facebook page. Only to find out it doesnt matter. Thank you. Its nice to be validated on this. Thanks Steve – I haven’t spent much time in Google + so am not very familiar with things there. Generally you’ll want a page that is active. You don’t need a million people following you. You really just want to be active, so if that means you only have 20 followers, that’s fine. But it does ask the question: if you’re that “small time,” do you need a verified listing? Thanks for the information on verifying your Google+ page. You made it seem really simple. A lot of people are moving to Google+ so this will be a useful post. I haven’t built my own Google+ page yet, because I’m trying to build up content. I’ve seen people using HootSuite and a few other services to maintain all their social media sites. If you’re using Blogger for your website, it offers easy integration into Google+. Gailius, I like the organization of Google+ too. It’s much easier and quicker to navigate than Facebook. So far I have resisted using Google+ as facebook seems to be working fine for what I do. I had heard that people were having some issues with advertising and verifying their account, so I decided to stay clear of it. If it is as simple to get verified as you say here then maybe I will give it a go. In your experience has it been worth it to branch into Google+, or would it be better to spend the time maintaining a good facebook page? The fact that you have to wait a couple of weeks puts me off slightly, although I guess it might be worth it in the end if more people move to Google+. With respect to your other question, you can use a service like HootSuite to update and monitor both you Facebook and Google+ pages. I like G+ a lot and I hope more people convert to it faster! It’s a lot superior to facebook to me just because of the groupings. I like order and it feels great to see everything organised into specific groups! Honestly, I have not set up a Google+ page for my writing business. I didn’t think it was necessary. But after reading your article, I think I will take some time and create one. The extra advertising can only help attract prospective clients. After I create a page, I will verify it according to your handy guide. Thanks for the tips! I’m about to use G+ page feature, I’m really tired by how limited is Facebook. The worst thing they could do was their timeline feature. So awful and gives a cluttered look to the page and content you want to showcase. What Google+ needs to beat Facebook one day is a little innovative push. Steve this is a well written post. Perhaps you can help me. I have a G+ Business pages, Google Places page. G+ and +1 are on my site. To verify my G+ page since I can’t update the address to include a unit or suite number, therefore the mail won’t reach me, what do you recommend? Thank you for your responsiveness. Hi Maureen, it looks to me like there is a fairly large address field on the form. Putting your suite number in there is your best bet. Hope this helps!